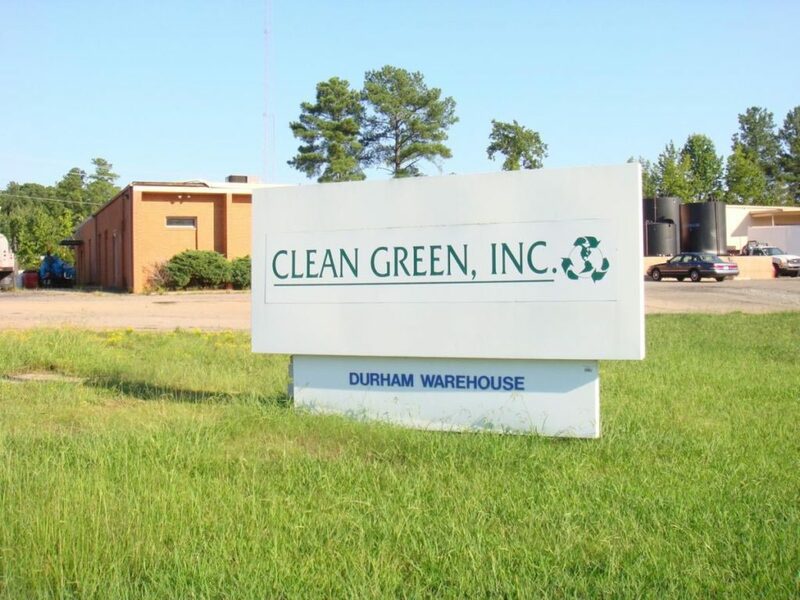 Since 1997, Clean Green has been committed to providing Raleigh-Durham, the Triangle and locations all over North Carolina with quality environmental waste management solutions. From antifreeze recycling to soil remediation, Clean Green offers a variety of environmental services and the expertise needed to get the job done well. Clean Green is family-owned and operated, so you can count on us to provide friendly, reliable service and hold to a high standard of honesty and integrity in everything we do. We even have an A+ rating with the Better Business Bureau – a recognition we believe reflects our strong dedication to customer satisfaction. Clean Green is proud to provide effective waste management solutions and environmental products to clients in Asheville, Charlotte, Durham, Fayetteville, Greensboro, Jacksonville, Raleigh, Wake Forest, Wilmington, Winston Salem, Apex, Cary, Carrboro, Chapel Hill, Clayton, Garner, & other service areas in North Carolina. Whether you’re an auto dealer owner in need of motor oil filter recycling services or a local restaurant owner looking for an affordable alternative to pricey all-purpose cleaners, make Clean Green your go-to for all your NC environmental waste management needs. We offer a level of personalized, efficient service you won’t get from a large corporation. Contact Clean Green today to request a service or learn more about our wide variety of products and services. We can also be reached at (919) 596-3500 or toll free at (800) 656-6361.Call today!